I have separated out the bag pattern from my summer set so that if you prefer the bag and not the hat you won't need to purchase both. 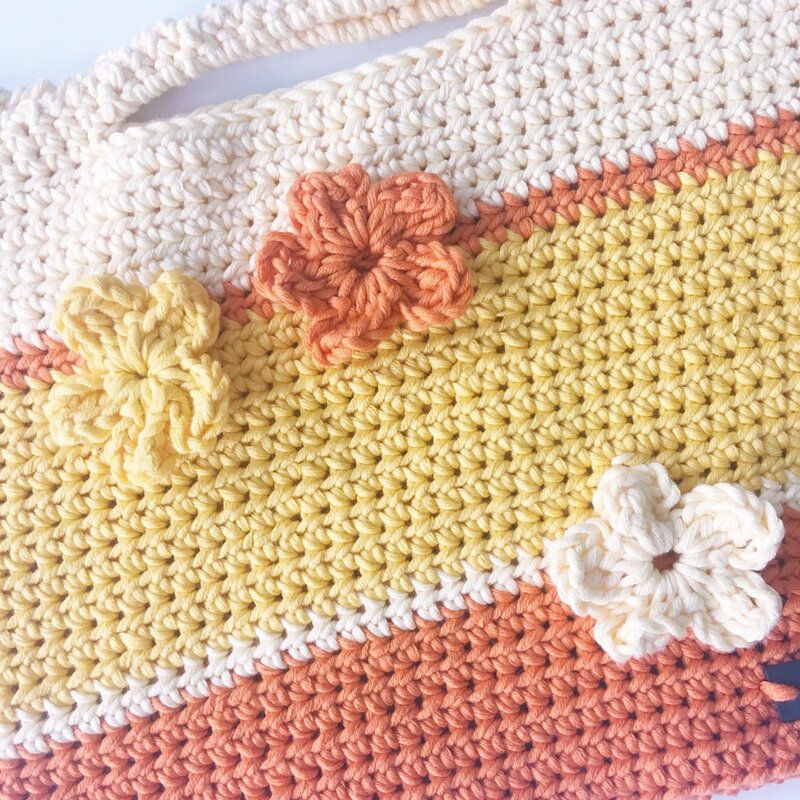 This bag is perfect for a trip to the beach or a picnic. It also uses my flower stitch pattern which works the flower as part of the row! There is a free tutorial out for it and I have given instructions for what to do if you prefer to make it separately. Each item is made with 3 ball of Morris and Sons Avalon 10ply 100% Pima Cotton. Measurements have been taken laying flat and straight across or down, not with the curves.